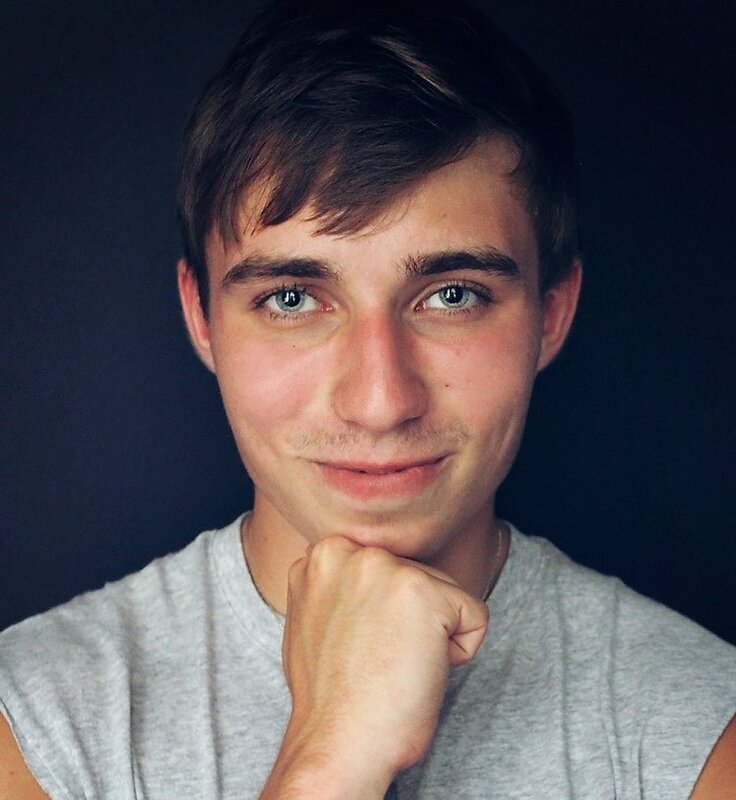 Kasey Isaacs is a junior at Morehead State University and is pursuing his Bachelor's degree in Biomedical Sciences, with an emphasis in Pre-Medicine. A recipient of the Atlantis Pre-med Leaders Scholarship, he spent three weeks on an Clinical Shadowing Fellowship in Milan, Italy in Summer 2017. 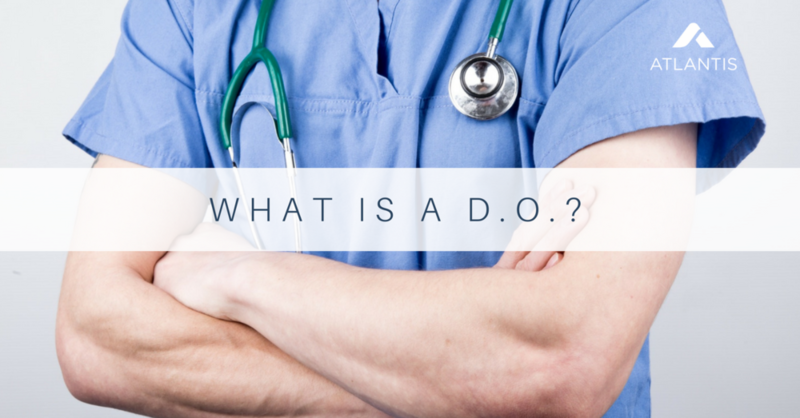 In the following article, Kasey lays out the differences between doctors of medicine (M.D.s) and doctors of osteopathic medicine (D.O.s), noting that the differences were once much starker than they are today. If you’ve recently found yourself perusing the medical staff directories of local hospitals, you may have noticed something odd. Some physicians are listed as “M.D.,” while others are “D.O." Have you ever wondered what exactly differentiates the former from the latter? In the following article, I hope to clarify your questions on the subject. The main divisions that once separated osteopathic medicine from its allopathic counterpart have now virtually dissolved into the history books, with the very names of each school of medicine being a bit outdated. Physicians within the United States may earn one of two types of doctoral degrees: Doctor of Osteopathic Medicine (D.O.) or Doctor of Medicine (M.D.). Aside from the obvious inconsistencies in nomenclature, what are the true differences between M.D.s and D.O.s? In 2018, the short answer is: not much. First, aspiring physicians should note that there is a difference between D.O. and M.D. programs when it comes to applicant/matriculant credentials. In 2016, the AACOM (American Association of Colleges of Osteopathic Medicine) reported an average GPA and MCAT score of 3.54 and 502.17 (respectively). Conversely, the AAMC (Association of American Medical Colleges) reported the average GPA and MCAT of M.D. programs to be 3.70 and 508.7. Both allopathic (a rather archaic term for M.D.s) and osteopathic physicians are considered fully qualified physicians within the United States. Simply put, both types of physicians may serve in any one of the nearly innumerable medical specialties that exist in the U.S. The differences between these schools of medicine is often lost upon patients (and even prospective students) due to the similarities in duties, practice scope, and patient interaction. Indeed, the main divisions that once separated osteopathic medicine from its allopathic counterpart have now virtually dissolved into the history books, with the very names of each school of medicine being a bit outdated. Historically speaking, allopathic medicine was a derogatory term derived in the early 19th century. It referred to practitioners of conventional medicine. At the time, conventional medicine reflected either the Miasmatic Theory (the belief that all disease was carried by bad smell) or the 2300 year-old Humoral Theory, which relied on balancing bodily “humors”—that is, fluids. Conversely, osteopathy is a more recent term, coined by the founder of American osteopathic medicine, Dr. A.T. Still. It refers to the early belief that most—if not all—human disease could be treated through musculoskeletal manipulation. Needless to say, both schools of medicine have come a long way. Aside from the obvious inconsistencies in nomenclature, what are the true differences between M.D.s and D.O.s? In 2018, the short answer is: not much. Ironically, Dr. Still rejected the modern medicine of his day because of the kooky treatments of his contemporary allopathic physicians—which involved bloodletting, excessive use of purgatives, and mercury poisoning—along with his inability to effectively treat his own children. In pioneering osteopathic medicine, Dr. Still hoped to harness the body’s innate ability to heal itself, while simultaneously focusing on preventative medicine with a more holistic, or whole-body, approach to treating patients. Such radical changes earned the scorn of the allopathic world, and Dr. Still’s creation of the first osteopathic medical school in Kirksville, Missouri resulted in the beginning of a professional disconnect that existed for many decades. Both sides regarded the other as practicing sub-par, ineffectual medicine for many years. During this time, the profession was also marked by osteopathic physicians’ struggle to receive the same recognition as their allopathic peers. However, by 1989, every state in the United States recognized the D.O. as the professional equivalent to the M.D., and the beginning of the modern state of both professions ensued. The differences that remain lie mostly in ideology and training—explaining the often-imperceptible differences in clinical settings. These differences, however, are still significant to prospective physicians, and as such it is important to highlight the characteristics of modern osteopathic medicine. In pioneering osteopathic medicine, Dr. Still hoped to harness the body’s innate ability to heal itself, while simultaneously focusing on preventative medicine with a more holistic, or whole-body, approach to treating patients. According to the AOA (American Osteopathic Association), D.O.s are trained to approach treatment through a “holistic, empathetic” methodology. To accomplish this, D.O.s are trained to listen to and interact with their patients on a deep level, focusing on their environment, occupation, and general lifestyle in addition to treating the presented symptoms. To execute this “whole person” approach to medical treatment, D.O.s employ a full arsenal of tactics. Like those used by their M.D. peers, these include the latest evidence-based techniques. However, D.O. education is unique in that it includes training in musculoskeletal manipulations known as either OMM (Osteopathic Medical Manipulation) or OMT (Osteopathic Manipulative Therapy). The philosophy behind OMT hearkens back to the very core of osteopathic medicine, reflecting the early belief in the natural restorative properties that are intrinsic to the human body. Through advanced training in the manipulation of the body’s muscular, nervous, and skeletal systems, osteopathic physicians are able to add a valuable skill set to their repertoire of medical knowledge. Rather than simply writing an immediate prescription, osteopathic physicians have the option to first attempt the treatment of many diseases—including muscle pain, asthma, and migraines—using manipulations. By doing so, these physicians can first attempt to alleviate discomfort without the potentially lifestyle-altering effects of long-term prescriptions. However, this is not to say that a holistic approach to medicine is performed exclusively by D.O.s; the reality is quite the contrary. Simply possessing a background and training in osteopathic medicine does not mean that every osteopathic physician focuses on the entirety of a person’s being. Similarly, the fact that allopathic medical schools may not emphasize these areas to the same degree does not mean that M.D.s fail to practice this philosophy. Instead—don’t be too shocked by this—doctors are indeed human, and as such are blessed with a multitude of abilities, quirks, traits, and oddities that make humans human. The methods by which they choose to approach their career will be as diverse as the very personalities that set them apart as individuals. Don’t be too shocked by this—doctors are indeed human. As such, they are blessed with a multitude of abilities, quirks, traits, and oddities that make humans human. The methods by which they choose to approach their career will be as diverse as the very personalities that set them apart as individuals. A recent major initiative in the field of healthcare involves the further integration of osteopathic and allopathic medicine. The AACOM, AOA, and the Accreditation Council for Graduate Medical Education (ACGME) are currently transitioning to a single accreditation system for residency programs within the United States. This will allow both M.D. and D.O. students to pursue residency opportunities that were traditionally exclusive to either M.D.s or D.O.s alone. In theory, this standardization will allow further flexibility and increased opportunities for all fledgling physicians. However, problems and concerns exist regarding the merger; many smaller residency programs that were traditionally D.O. may find that the increased specificity regarding patient contact hours and types (particularly in primary care) will be hard to manage. Likewise, it seems unclear how M.D. students who choose traditionally D.O. residencies will be evaluated in terms of OMT, with which they will have had no prior experience. The merger is expected to be completed by 2020, and we will simply have to wait and see how these issues, among many others, are addressed by the ACGME, AOA, and AACOM. As I hope you have seen, osteopathic medicine has contributed a great deal to the modern medical community. Many of A.T. Still’s original tenets—preventative medicine and holistic healing in particular—have been widely praised in the modern era. Additionally, OMT continues to provide yet another method by which modern osteopathic physicians may treat patients, while simultaneously highlighting the body’s extraordinary innate characteristics. As the elements of allopathic and osteopathic medicine converge, we must remember and learn from the heritage and contributions that each have made in creating the modern marvel that is medicine.